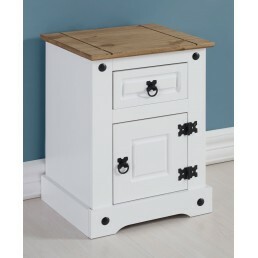 Petite Bedside in White/Distressed Waxed Pine. 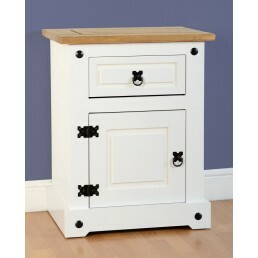 Flat-packed, self-assembly required with instr..
1 Drawer 1 Door Bedside Cabinet in White/Distressed Waxed Pine. 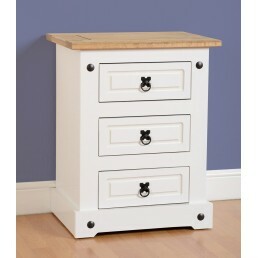 Flat-packed, self-assembly re..
3 Drawer Bedside Chest in White/Distressed Waxed Pine. Flat-packed, self-assembly required wi..
2 Door Display Unit/Bookcase in White/Distressed Waxed Pine. Flat-packed, self-assembly requi.. 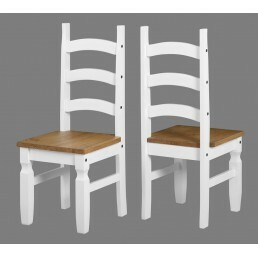 Chair in White/Distressed Waxed Pine. 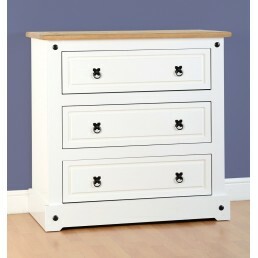 Flat-packed, self-assembly required with instructions i..
2+2 Drawer Chest in White/Distressed Waxed Pine. 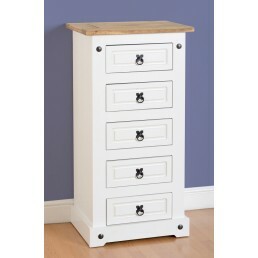 Flat-packed, self-assembly required with ins..
6 Drawer Chest in White/Distressed Waxed Pine. 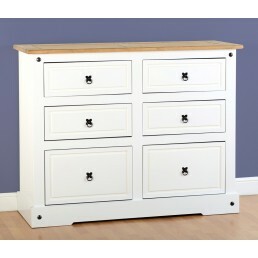 Flat-packed, self-assembly required with instr..
3 Drawer Chest in White/Distressed Waxed Pine. 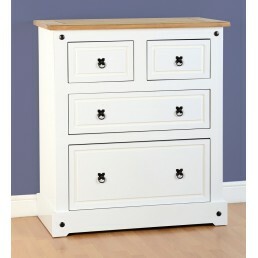 Flat-packed, self-assembly required with instr..
5 Drawer Narrow Chest in White/Distressed Waxed Pine. 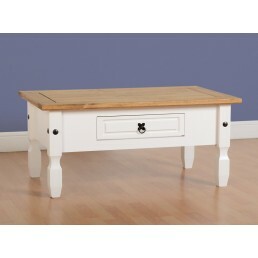 Flat-packed, self-assembly required wit..
1 Drawer Coffee Table in White/Distressed Waxed Pine. 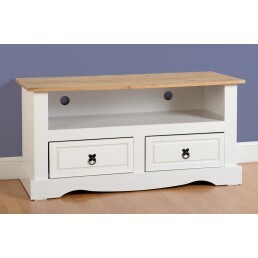 Flat-packed, self-assembly required wit..
1 Drawer Console Table with Shelf in White/Distressed Waxed Pine. Flat-packed, self-assembly .. 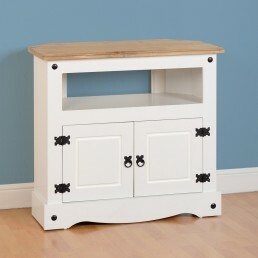 Corner TV Cabinet in White/Distressed Waxed Pine. 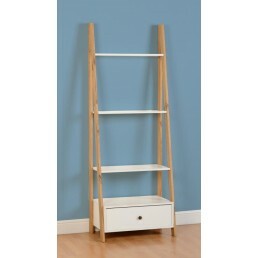 Flat-packed, self-assembly required with in..
4 Shelf Corner Unit in White/Distressed Waxed Pine. 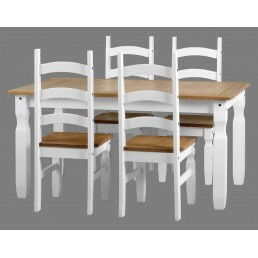 Flat-packed, self-assembly required with ..
5' Dining Set in White/Distressed Waxed Pine. 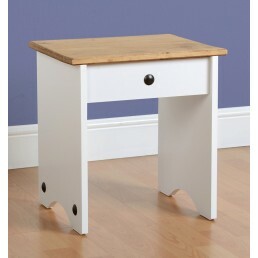 Flat-packed, self-assembly required with instru..
Dressing Table Stool in White/Distressed Waxed Pine. 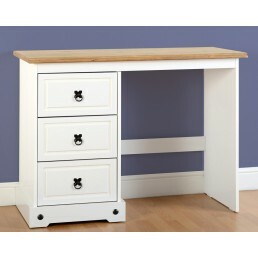 Flat-packed, self-assembly required with..
3 Drawer Dressing Table in White/Distressed Waxed Pine. 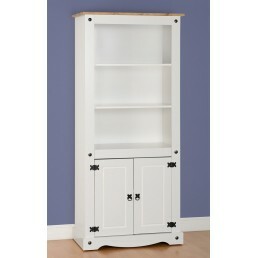 Flat-packed, self-assembly required w..
2 Door 2 Drawer Glass Display Unit in White/Distressed Waxed Pine/Clear Glass. 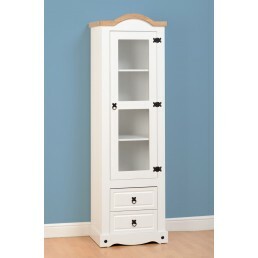 Flat-packed, s..
1 Door 2 Drawer Glass Display Unit in White/Distressed Waxed Pine/Clear Glass. 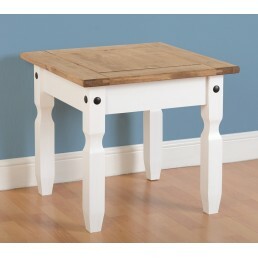 Flat-packed, s..
Lamp Table in White/Distressed Waxed Pine. 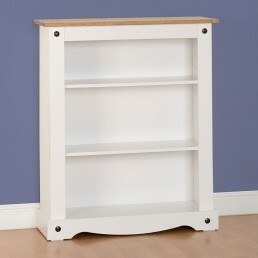 Flat-packed, self-assembly required with instructi..
Low Bookcase in White/Distressed Waxed Pine. 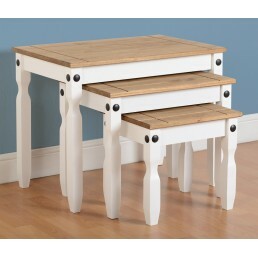 Flat-packed, self-assembly required with instruc..
Nest of Tables in White/Distressed Waxed Pine. Flat-packed, self-assembly required with instr..
1 Drawer 3 Shelf Unit in White/Distressed Waxed Pine. 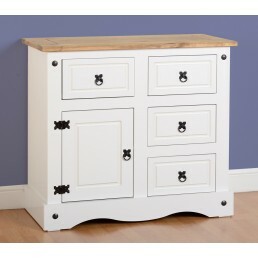 Flat-packed, self-assembly required wit..
2 Door 5 Drawer Sideboard in White/Distressed Waxed Pine. 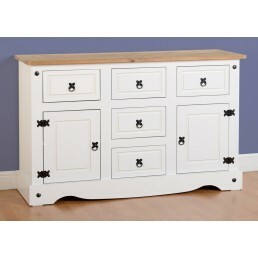 Flat-packed, self-assembly required..
1 Door 4 Drawer Sideboard in White/Distressed Waxed Pine. 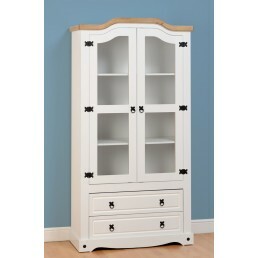 Flat-packed, self-assembly required..
Small Buffet Hutch in White/Distressed Waxed Pine. Flat-packed, self-assembly required with i.. 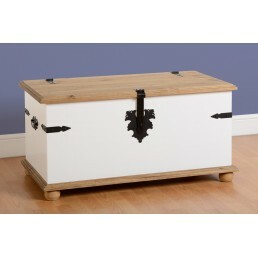 Single Storage Chest in White/Distressed Waxed Pine. Flat-packed, self-assembly required with.. 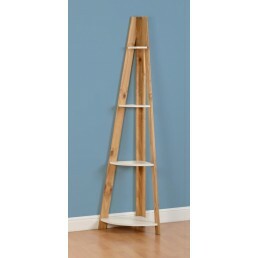 Tall Bookcase in White/Distressed Waxed Pine. Flat-packed, self-assembly required with instru..
Trio in White/Distressed Waxed Pine. 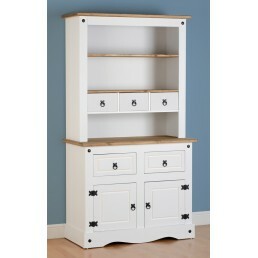 Flat-packed, self-assembly required with instructions in..
2 Drawer Flat Screen TV Unit in White/Distressed Waxed Pine. 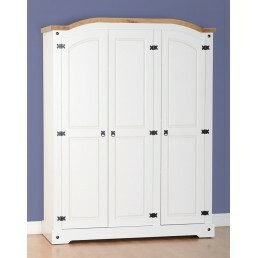 Flat-packed, self-assembly requi..
2 Door Wardrobe in White/Distressed Waxed Pine. 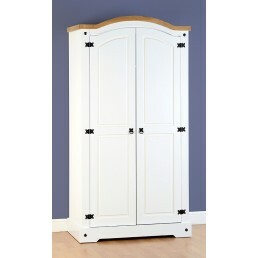 Flat-packed, self-assembly required with inst..
3 Door Wardrobe in White/Distressed Waxed Pine. Flat-packed, self-assembly required with inst..